Are Small Publishers Leading the Way to Higher Book Sales? BookExpo America included the usual reports of industry sales and projections for the coming years. Here are some highlights, as reported in Publishers Weekly, from the Book Industry Study Group BISG) which released its projections for 2007 book sales and beyond. 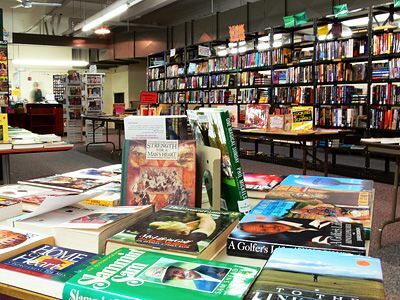 Book sales are expected to increase a total of 4.1% in 2007, to $39.65 billion. The biggest gains are expected to come in the juvenile hardcover segment and the elementary / high school segment. Unit trade sales are projected to increase by less than 1% annually over the next five years. Between 2005 and 2011, unit sales are projected to increase at a 0.5% compound annual rate, while sales are forecast to grow at a 2.8% annual rate. BISG estimates sales for the entire industry will hit $45.2 billion in 2011, growing at a compound annual growth rate of 3.4%. The religious and elementary / high school segments will have the strongest gains through 2011, with an average growth rate of 4.9%. Sales rose 2.4%, to $2.15 billion. Barnes & Noble had the strongest quarter with sales up 2.8%, while Borders Group and Books-A-Million both reported a sales gain of 2.1%. In addition to posting the largest sales increase among the big three, Barnes & Noble was the only one to report an increase in same-store sales in the period, with comp store sales up 1.7% compared to a decline of 1.9% at Borders’s domestic superstores and a 0.5% decrease at Books-a-Million. Books-a-Million however, was the only chain to report an increase in net income, up 40% in the quarter, while the net loss at Borders deepened to $35.9 million from $20.2 million, and Barnes & Noble had a loss of $1.7 million compared to profits of $10 million in last year’s first quarter. One interesting note. BISG included numbers from smaller publishers (defined as under $50 million) and these appeared to help boost the overall sales numbers into positive territory. The Association of American Publishers (AAP) also reported sales figures, but focused primarily on sales at larger publishers. Its report showed declines in many categories, including as juvenile and elementary / high school books. This discrepancy between the BISG and AAP sales projections could be evidence that smaller presses are breathing life into the book industry. This entry was posted in open publishing, publishing analytics. Bookmark the permalink.